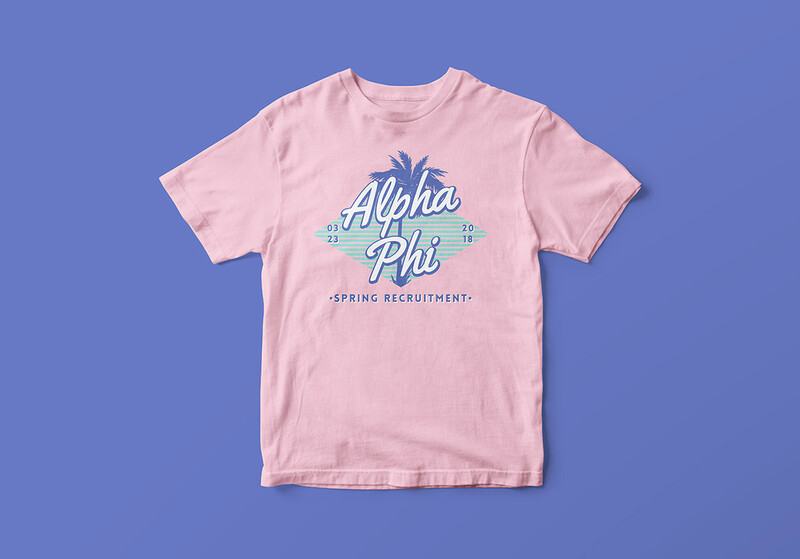 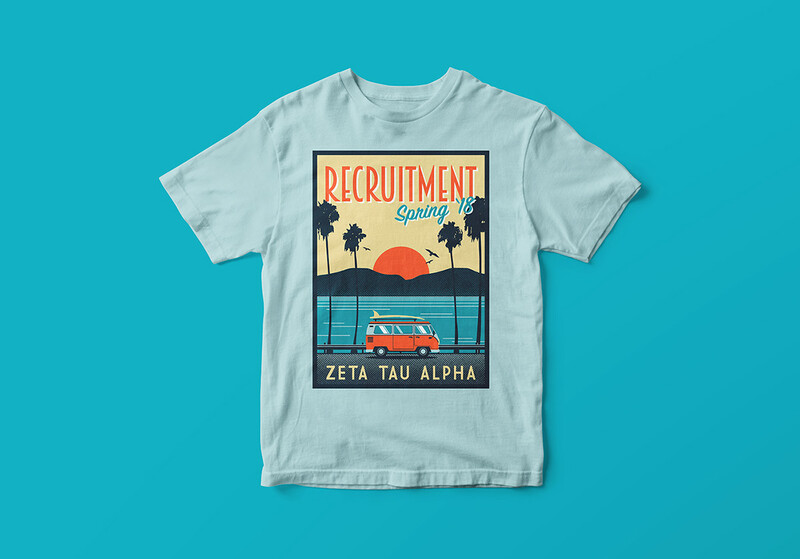 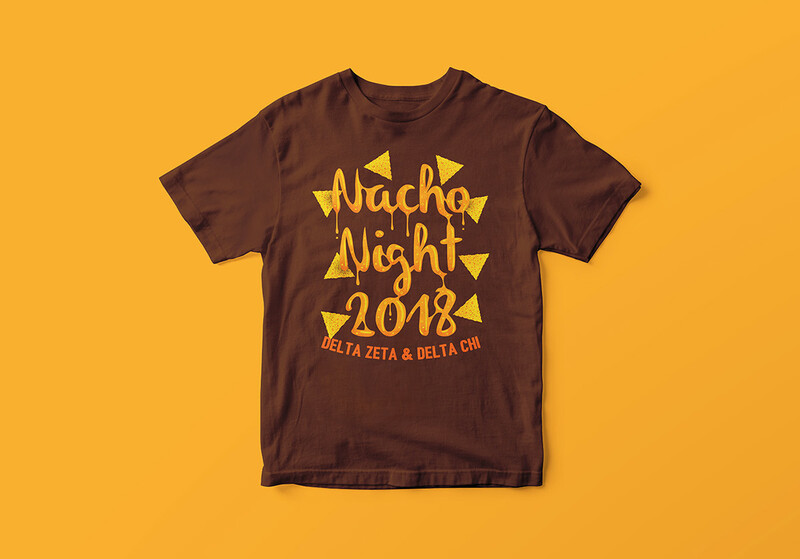 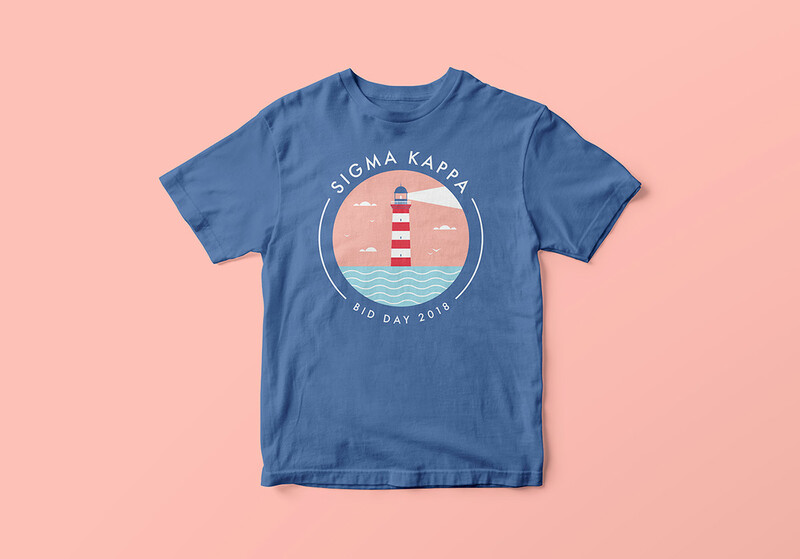 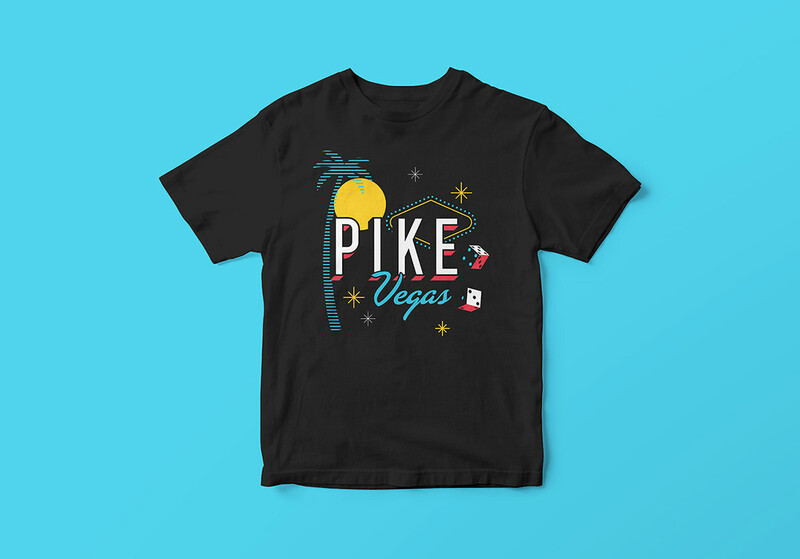 Fresh Prints provides affordable custom apparel and promotional products for organizations and individuals across different campuses in the US. 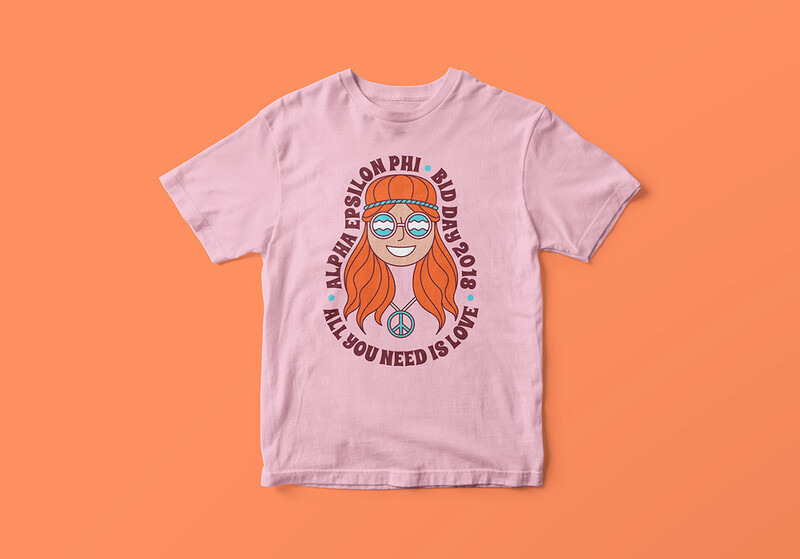 I've worked with a bunch of Panhellenic groups through their campus managers, created designs for events like bid days, rush/recruitment, and philanthropies. A set of t-shirt designs for the college Greek life.